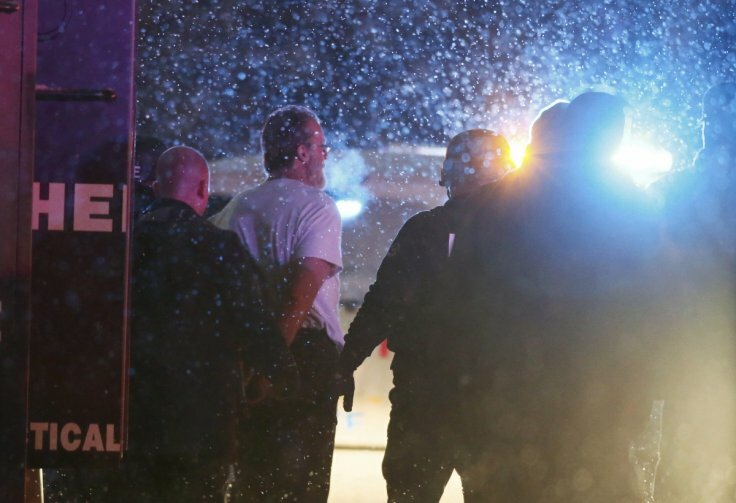 When I turned on the news this past weekend and saw that there was a gunman shooting up a Planned Parenthood in Colorado, I immediately knew that the far-left mainstream media would demonize Christians. As I expected, before any details of the shooter were revealed, the media, Planned Parenthood itself, and left-wing social media users were quick to label it as an attack by a “right-wing pro-life extremist”. Even now that the identity of the murderer has been revealed, proving he is not a “right-wing Christian”, but instead a mentally ill war veteran with a criminal record, STILL the media and leftists are blaming the attack on the “extreme” and “hateful” ideology of conservative CHRISTIANS. Today we learned that the deranged shooter, Robert Lewis Dear, had told authorities during a long rant ranging on a majority of issues, “no more baby parts”. Because of this statement, the entire anti-abortion “Pro-Life” movement has come under the media’s attack. Some journalists actually taking it further to imply that Christians are EXTREMISTS for our beliefs. Yet, Beard was NOT a Christian, even if he eventually claims to be, which he has yet to do. Beard has arrest records in North and South Carolina and has been convicted of multiple traffic offenses. In 2002, he was charged in South Carolina on two counts of CRUELTY TO ANIMALS, an act which no Holy Bible believing Christian could ever commit. You cannot be ‪”Pro-Life” and a MURDERER. It is an oxymoron. You cannot ever be a “defender” of life, while at the same time TAKING LIFE. This shooter is just as bad as the ‪Islamic terrorists‬, as there is NEVER justification in Scripture for the taking of innocent lives. While, indeed, there are many murderers at Planned Parenthood, they will be JUDGED. That is God’s Job, NOT ours. Still, many of the liberals are calling Beard a “Christian” terrorist in order to defend the many muslims labeled as terrorists. This is a false narrative. The Quran of Islam repeatedly calls for murder of innocents, and the Holy Bible does NOT. Not once. Period. She didn’t blame the lunatic who murdered 3 people at the clinic, including a police officer who was a CHRISTIAN Minister, but instead placed the blame at the doorstep of Christian doctrine and pro-life rhetoric. The Colorado governor also added fuel to the anti-Christian fire, saying, “This Planned Parenthood shooting may be a function of inflammatory rhetoric from (Conservative) bloggers and talk shows.” So they are obviously politicizing the attack at Planned Parenthood, which by the way NO CHRISTIAN has or will ever defend, in order to further the Obama agenda of DEMONIZING Christians. The fact is, whether the shooter “claims” to be ‪Pro-Life‬, or worse, claims to be a Christian, he is NEITHER. He is a ‎terrorist and a real EXTREMIST. Any Muslim who murders in the name of THEIR god is a real extremist and a terrorist. Holy Bible believing Christians are NOT “extremists” and NEVER terrorists. True Christians are 110% AGAINST MURDER. God commands us to be. Islam on the other hand, not only condones, but very often COMMANDS terror and acts of murder. Following any ‪Islamic terror‬ attack, of which there are too many to count, the far-left mainstream media and president Obama ALWAYS come to the defence of Muslims, saying “Islam is a religion of peace”, and “Not all muslims are terrorists”. Though, when a so-called “pro-lifer” shoots up an abortion clinic, the SAME media and Obama say, “ALL Christians are EXTREMISTS, and their Biblical beliefs are DANGEROUS”. REALLY?! Regardless of their attacks, and their mislabeling of Christians, I will continue to live faithfully to God, standing firmly and unapologetically on HIS Holy of Truth, in a world and nation full of antiChrists and hypocrites who defend a murderous “religion”, while at the same time, condemning all those who follow the Prince of Peace, Jesus Christ. If I’m dubbed “extreme” for believing the Word of God over men, so be it. It’s time for Christians to stop taking these assaults on our Faith and beliefs lying down, and we need to wake the others up who buy into the Obama/Mainstream Media narrative which, as the Holy Bible prophesied, calls good “EVIL” and evil “GOOD”. I’m PRO-LIFE because God says to be. That will never change. I will NEVER shut up about it, or about ANY of my Biblical beliefs, simply because someone labels me a hater, a bigot or extreme. There are many unGodly people in positions of power and influence who have an agenda to SILENCE Christian voices in this morally deteriorating nation, and they’ll use every lie, false narrative, deception and falsehood that they possibly can to do so. It is up to us TRUE Holy Bible believers to ensure that they will NEVER succeed.